The 2018 Emmys are over, and there was one clear cut winner. The Marvelous Mrs. Maisel took home the most wins with 5 statues, including Best Comedy Series. The 70th Annual Primetime Emmy Awards were held Monday night at the Microsoft Theater in Los Angeles. And while there were a lot of favorites, Mrs. Maisel proved to be quite Marvelous, also taking home wins in the Comedy writing and directing categories. Rachel Brosnahan won Best Lead Actress in a comedy series, and Alex Borstein took home the Emmy for Best Supporting Actress in a comedy series. FX also had a big winner in American Crime Story: The Assassination of Gianni Versace. It took home the Emmy for Best Limited Series. Darren Criss won Best Lead Actor in a Limited Series, and Ryan Murphy took home the Emmy for Best Director in a Limited Series. HBO saw Game of Thrones win 3 Emmys tonight. The first was for Best Drama Series. The second for special visual effects, and Peter Dinklage took home an Emmy for Best Supporting Actor in a Drama Series. In the comedy category, HBO also had a couple of wins for Barry. Bill Hader took home the Best Lead in a Comedy award, while Henry Winkler won for Best Supporting Actor in a comedy. 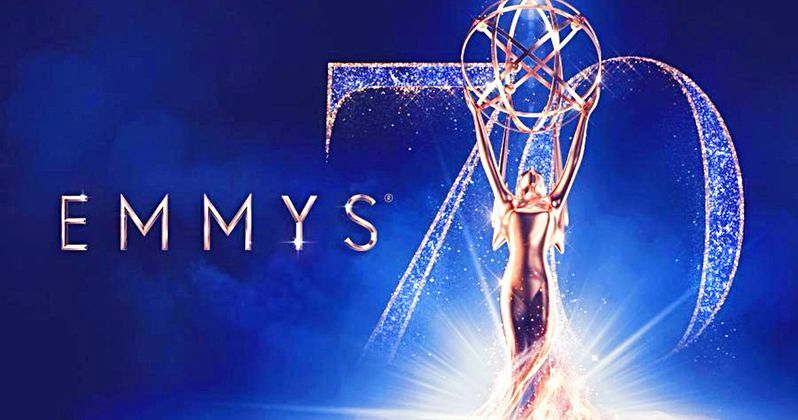 Other winners tonight included Netflix's Godless and The Crown, FX saw two wins for The Americans, and NBC scored big in the variety sketch series category, with Saturday Night Live winning an Emmy. HBO's Last Week Tonight was the big winner in the variety talk series category. You can check out the full list of winners below.